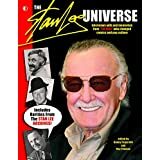 Any good books on the history of comics? 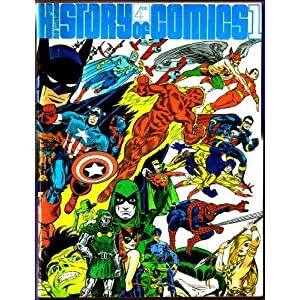 I'm looking for a book about the history of comics, or one way I could phrase that is the history of the comic book industry I suppose. I'd like something that would cover different periods of comics, trends of comics, etc. I have no idea what is out there among these lines. Anything you'd recommend? 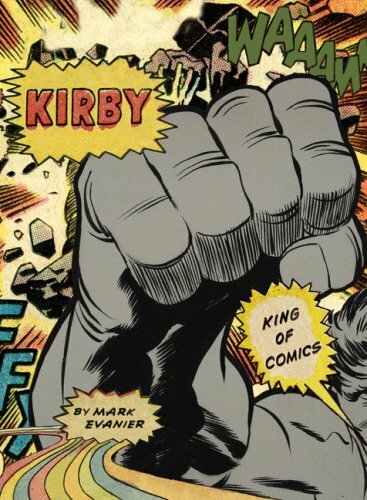 Re: Any good books on the history of comics? It's not a chronological history, but more like an anecdotal encyclopedia/dictionary. It's geared more for entertainment than scholarly research. There is only a short paragraph under "Comics Code Authority", but a generous 4+ pages devoted to explaining the story behind the Mile High (Edgar Chruch) Collection. There are entries for subjects from the Golden age up to Image comics- writers, artists, characters, subjects. It's a fun book to read. 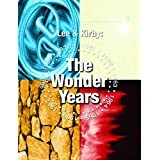 Most other serious books on the subject usually confine themselves to a specific period or publishing house, or set of characters or creators. There are tons of books. Some great. Some not-so-good. Men of Tomorrow: Geeks, Gangsters, and the Birth of the Comic Book by Gerard Jones. This is a great book which covers the early years of comic book history as well as the fight for Superman in the late 40s and beyond. It gives great detail on how the comic book industry started. I absolutely love this book. Comics: Between the Panels by Mike Richardson (Founder of Dark Horse) and Steve Duin. An encyclopedic look at comic book history with a lot of Behind The Story sidebars. Comic Book Comics by Fred Van Lente and Ryan Dunlavey. A six issue series giving you all the dirt inside the history of the medium. The series is on issue 5 right now with issue 6 coming in June. After that, the trade edition if you want to wait. I was surprised on how good this series is and how much information I gained from it. Anything published by TwoMorrows. The people involved are die-hard comic book researchers. They have plenty of books covering different subjects - Each backstory covered like an archeological dig. I wish I could afford all their books. I was going to recommend this one too. It's a great series. (As an aside, Van Lente and Dunlavey previously collaborated on Action Philosophers, which is also great. After Comic Book Comics, they're doing a series on the Presidents). Gerard Jones and Will Jacobs did a book called The Comic Book Heroes a few years back that was pretty good. It's OOP, but you can find copies for not too much money. Surprised there's been no mention of Shirrel Rhoades book. 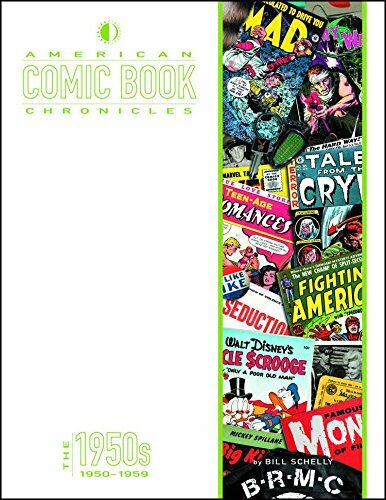 I think it's a great one-book history of American Comics. Thank you all for your suggestions. I bought Men Of Tomorrow: Geeks, Gangsters, and the Birth of the Comic Book and The Ten-Cent Plague: The Great Comic-Book Scare and How It Changed America. IMO, one of the best is Jim Steranko's two volume (of a proposed, but unpublished six volumes) History of Comics. It was a large (11"x17" ?) paperback with wrap-around covers by Steranko and published in 1970. You can still find copies on Amazon, but they're not cheap. I think I had two volumes of this. There were indeed 2 volumes of Steranko's History of Comics. I just happened to page through them the other day and they are excellent. 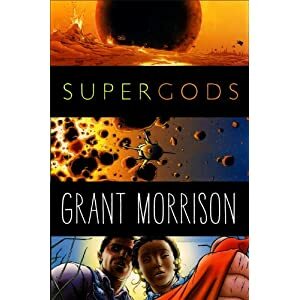 Has anyone read, or heard anything about, this new Grant Morrison book, "Supergods: What Masked Vigilantes, Miraculous Mutants, and a Sun God from Smallville Can Teach Us About Being Human"? 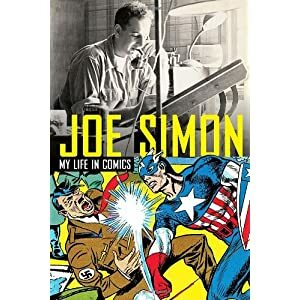 Just read Joe Simon's My Life in Comics and it was a great, quick read. Seduction of the Innocent is a great book. And the follow-up to that which was issue #60 of the Jack Kirby Collector (which wasn't as interesting as the prior stuff I had read but still informative). 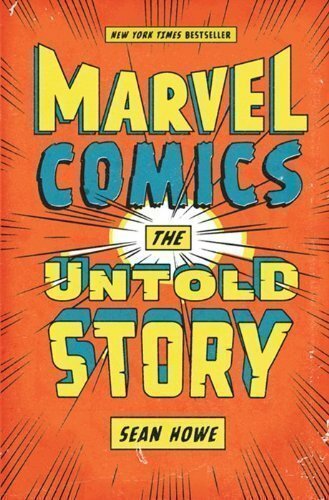 and then finally to Marvel Comics: The Untold Story by Sean Howe. I read a lot of complaints about him and his history that he was giving but he seemed to source everything and everyone he talked to or read interviews for seems to have a different opinion about what went down. I fund the book fascinating and extremely funny. Lots of inside stuff I never knew and the info on Jim Shooter seemed even and fair (though some felt he was portrayed as too much of a villain) I felt he mentioned both the good and the bad. I highly recommend this book. It is a quick and breezy read for 430 pages. I am a slow reader simply because I am usually juggling several magazines and books all at once not including movies, television shows and video games. I try to read a lot of old comics that I have digitally as well (but I find the history more interesting). And oh yeah...a family. But I was curious if any of you have any you have read recently and recommend or want to give thoughts on that you have read. I think Twomorrows is the greatest and practically buy everything they put out (though I always wait for sales). Good timing for a bump, with the good sales at TwoMorrows right now. I recently got the Chronicles volume for the '70s and enjoyed flipping through it but haven't read it in depth yet. I scrolled up in the thread and was surprised to see a post from myself that I didn't remember, and then I noticed that it was from five years ago. That kind of blew my mind until I remembered we had another similar thread. Oops. I missed that one when I did my search. It's confusing. This thread was created first, then when that one was started, no one even remembered this one existed. I guess we can ask Geofferson to merge the threads? That sound ok guys? Eh, it's not like we're overflowing with threads. I'll add Understanding Comics which weaves a lot of comic history throughout its lessons.